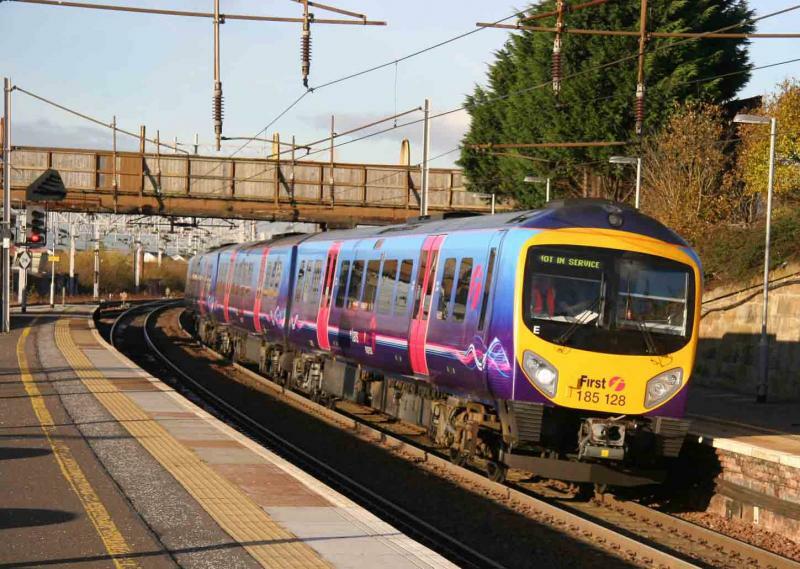 The three car "Pennine" Class 185s work the vast majority of First TransPennine Express's services in the north of england. From December 2007 these units started to operate between Manchester Airport and Glasgow/Edinburgh. The first visit of a Class 185 in Scotland was when Siemens took a set to Stirling for a conference on the 7th February 2007. 6X79 1448 Mossend Yard to Stirling 185138 had arrived at Mossend just after 03:00 behind 67006. The Royal locomotive changed ends so it would be leading on the return run and this meant 67030 led for the run up to Stirling, arriving just after 15:40 into Platform 10. The return run 6X80 20:20 Stirling to the South now saw 67006 leading the train with 67030 tailing on the rear. It left Stirling 8 mins down at 20:28. 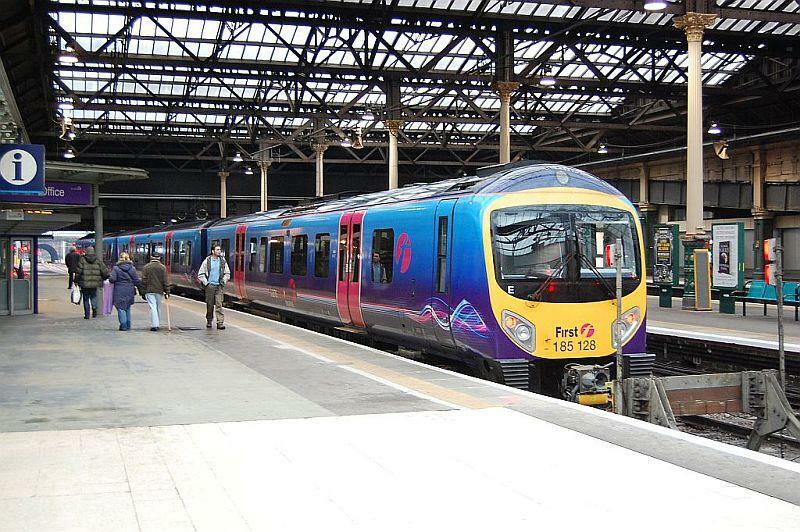 The Class 185s worked a number of training runs to Scotland in the weeks leading up to the start of First TransPennine Express's Manchester services, initially to Glasgow and then to Edinburgh. Created by SC318250 and last modified by jamieintercity at 12:31, 21 of September 2017.